Presider Chair (shown) has steel frame construction. 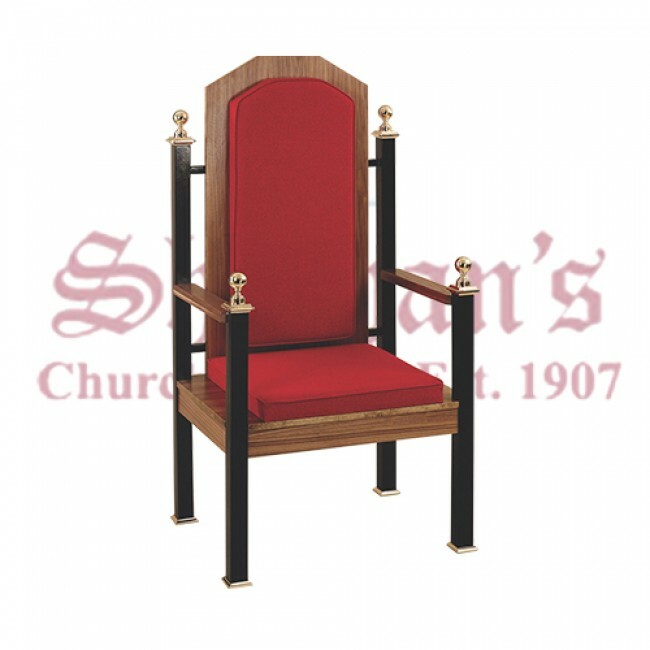 Chair has welded frames and a baked on powder coat finish to insure lasting beauty and durability. Deacon Chair (not shown) also available. Presider Chair - Height 57 ½, Width 31", Depth 24". Deacon Chair - Height 49", Width 29", Depth 24".